This week is very exciting for us. Two of our weddings were published in Washingtonian Bride and Groom, we have a fabulous bouquet feature in Weddings Unveiled and my sons wedding is finally being released this week in the Knot DC/MD/VA. We have also had some lovely features on Style Me Pretty and I am extremely proud of a feature I received on the blog Flirty Fleurs. Before what may seem like gloating begins, I wanted to explain that it’s my responsibility as the person in charge of marketing this business (selling, buying, consulting, contract writing, designing) to shout out about these features. 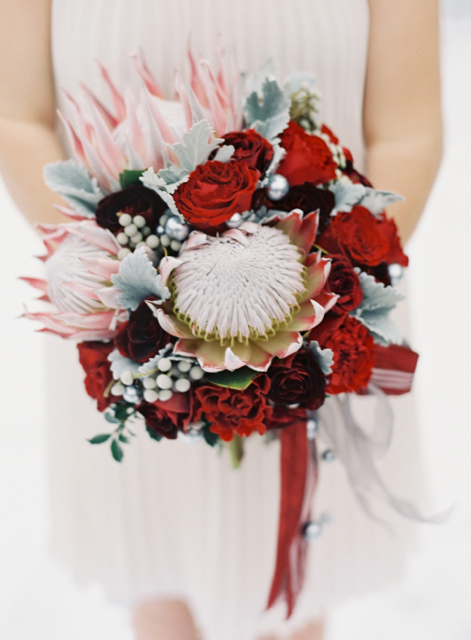 This blog is read by my brides, as well as other budding floral designers. Sometimes it may seem like I am tooting my own horn, which I need to do to market our business. Over the next few days I will be sharing our successes with you, but first I wanted to take the time to explain how hard I work at this. Several years ago I heard a whisper that other studios or wedding professionals were jealous of the press our studio had received. Three different editors told me this, yes this really happened. I totally get this, because there are several designers that I am super jealous of as well!! What I have to say is that you can’t judge someone’s outsides to their insides. Nobody knows how hard other people are working behind the scenes to make things happen. And I know how hard we are all working in this business! I have had several people say to me that I get featured a lot. Thankfully we do, but I want to make it very clear I have worked REALLY hard at this. I have never gotten a free ride. You learn a few things after 21 years of business, and the number one thing I’ve learned is that hard work pays off. One thing I love more than anything is trading tips of the trade with other experienced designers and also sharing that knowledge with new designers. In spite of my crazy schedule, if you are struggling and need help, I would love to help you as much as I can. If you are interested in getting more publications here is the reality of what I have to do to make that happen. First and foremost I work tirelessly at keeping this studio at the forefront by studying, practicing, submitting, and marketing. The sheer volume of events that we are doing increases my odds for publication. Our studio has done 170 events for the last two years. That is a huge under taking for a small business. That means that I had roughly 340 consults with my clients ( I typically do 2 meetings per full service bride) I wrote 170 contracts, answered the emails for 170 brides, each one probably writing a minimum of 15 times, I ordered, oversaw, and designed for all of these events. Because I personally lovingly babysat all of those events this ensured that the integrity of the designs were not compromised. When the weddings are complete I do not wait and hope for publication, I personally begin the submission process for many of the weddings I am published for. Yes I personally submit!!! Many wedding professionals sit back and wonder why they are not getting published. You have to do the work yourself! And you can, it is a very real possibility for you. Several years ago when my fate was in other wedding vendors hands, I made a conscious choice to pursue publication for this studio and I did it all by myself. That was the boldest and smartest move I ever made. Now today, if I want something to happen I make it happen. I am this studios best advocate, I must be proactive, I must take responsibility for our successes or there will be none. I share all of this because I want everyone to know how hard I am working behind the scenes to be where we are today. Publication is a very complicated and hard thing to achieve. Every single element must be right including many things out of our control, like the weather. (Oh the weather, is it going to thunderstorm this weekend?!) Nine times out of ten, something is just not right. The sheer volume of events we are doing means that my odds are up and I should have at least 15 -17 events a year that are worth publication. In addition to that, add the fact that I also try to do styled shoots almost monthly as another way to help increase our studio’s odds of publication. When you look at all of those factors combined, my studio is actually getting exactly what we’ve earned. So when you see a blog post about our feature, please know I am not gloating. Know that I worked really, really, hard to make it happen and that I pursued it with a vengeance. I can’t wait to show you Alex’s wedding!! Amen to what Heather said!! Thank you for the inspiration and information Holly! Holly, this is a wonderful post to put out there for others to read and understand all of the effort that goes into getting published. Not all wedding vendors understand the time it takes to craft a pitch, submit, follow up with the submission, resubmit if it isn’t picked up the first time, and starting the process all over again for every event worth submitting. It is extremely time consuming and given all of your other responsibilities as a business owner, kudos to you for succeeding in taking control of your own destiny! You deserve every bit of coverage you receive because you work hard at it and dedicate yourself to marketing your own business instead of relying on others to do it for you. You are an inspiration to me (even though I am not a floral designer!) but as a business owner, designer, mother, wife, and leader in this industry. I am honored to know you and I’m happy to be cheering you on in all of your successes and hard work! CHEERS! Working in web development/social media, I know how tough it can be to maintaining a functional, well designed website and that itself is a full-time job! You take the time to provide updates and ideas to new brides through not only your site but through social media. This shows that you are proud and passionate about sharing your work and that you’re thinking not only about your clients but partners as well. Love, love, love all that you do. Keep up the good work! You definitely deserve every bit of recognition you get! Don’t apologize for it! As a new flower grower, I’d love to hear more about this process of submitting your work– where and how did you begin to go about this process?